Put garlic, ginger and tomato in a food processor and process into a paste. In a pan, fry the onions and chilles in the oil for 5 minutes until golden brown. Add remaining sauce ingredients, except for the paste. Stir fry for 1 minute. Add the paste and cook a minute more. Taste and adjust seasoning. Cover and refrigerate. Each portion will be about 8 shrimp (about 5 oz). 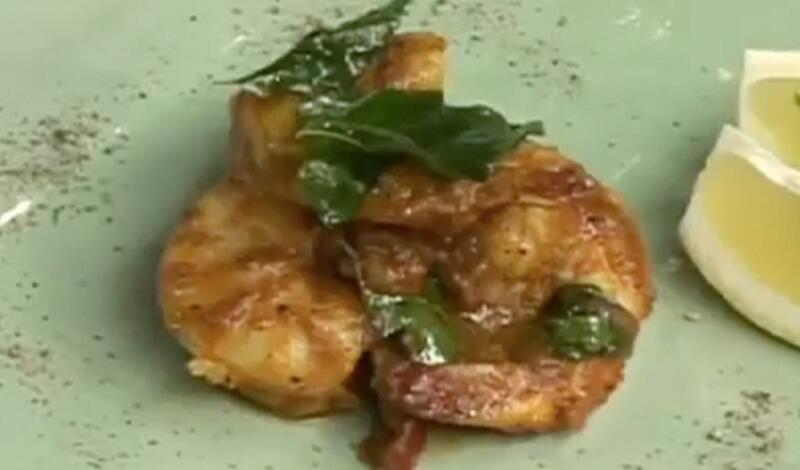 Fry each portion of shrimp in 2 tsp oil until ¾ done, add ½ cup of the curry sauce and cook for further 2 minutes, stir well. Garnish with lemon wedges and lime zest.